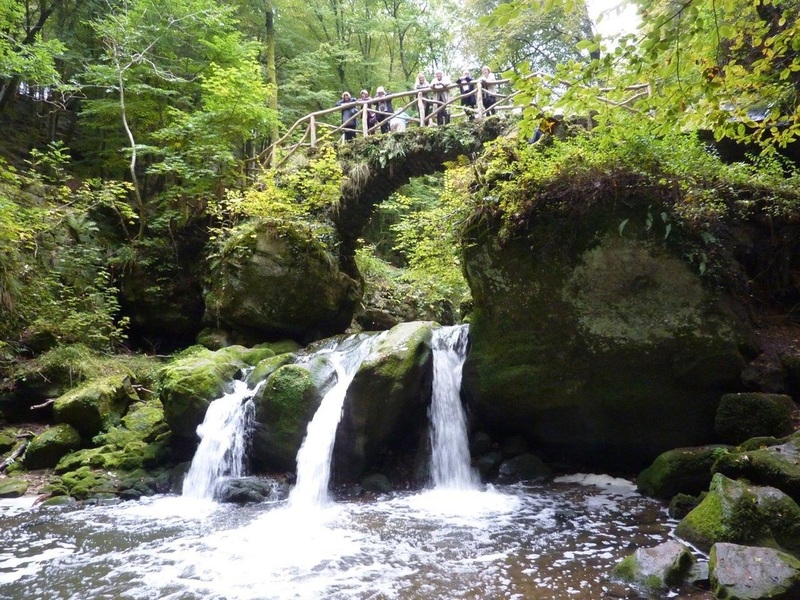 Just 51 miles long and 35 miles wide, the Grand Duchy of Luxembourg is one of the smallest countries in the world, yet it has all the ingredients of a large country, from modern euro-city to wooded countryside. Our base for the trip was the picture-perfect village of Vianden, thirty miles from the capital and just six miles from the border with Germany. 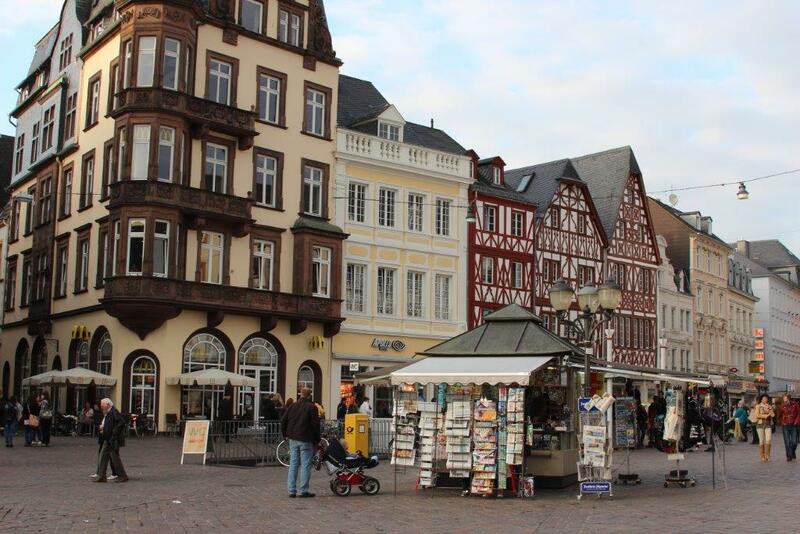 A great centre for touring on foot, bicycle, car or coach, it is famous for the nut market, usually held on the second Sunday in October. This celebrates the area’s history of walnut production. 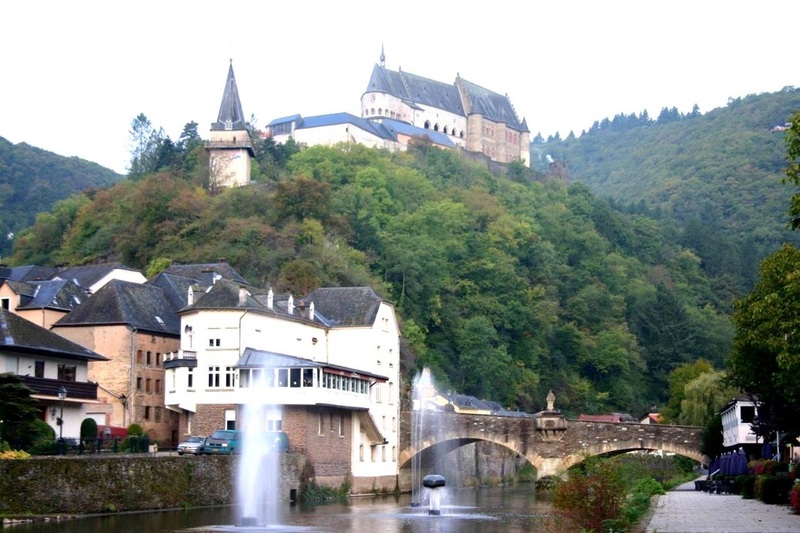 At one time, a fifth of all Luxembourg’s walnut trees grew in Vianden`s orchards. Now all kinds of walnut based products are on sale at the market including, walnut milk, walnut confectionary, walnut cheese, walnut bread, walnut sausages and (the very potent) walnut liquors and brandy. Indeed, these are so potent that all leave is cancelled at the nearest hospital and a fleet of ambulances stands at the ready on the edge of the village, which is closed to traffic during the event. French author Victor Hugo stayed in Vianden on several occasions between 1862 and 1871 and during those times was inspired to record its beauty and setting in poetry and prose. In modern day PR terms, Hugo did a good job of promoting Vianden’s attractions to the outside world. Besides its walnuts and Victor Hugo though, Vianden has as its main claim to fame a gloriously theatrical medieval castle perched on an outcrop overlooking the town. The castle has been the subject of considerable renovation and is well worth the walk up the steep streets or, in summer, a ride on the chairlift. Less than an hour's drive brought us to the capital, Luxembourg City, which evolved from a 10th century fortress on a rocky promontory with steep drops to the river below. We had a guided tour of the sights including the Hotel de Ville (Town Hall). Originally a monastery for Franciscan Monks, it was re-modelled in 1838 for its current purpose. 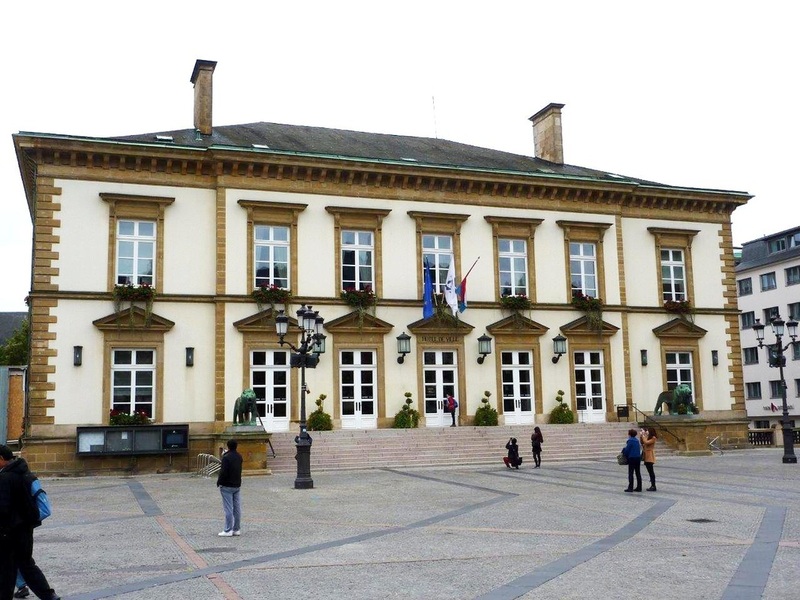 Another building worth seeing is the Grand Ducal Palace, a modest chateau and official residence of Grand Duke Henri, the reigning monarch. 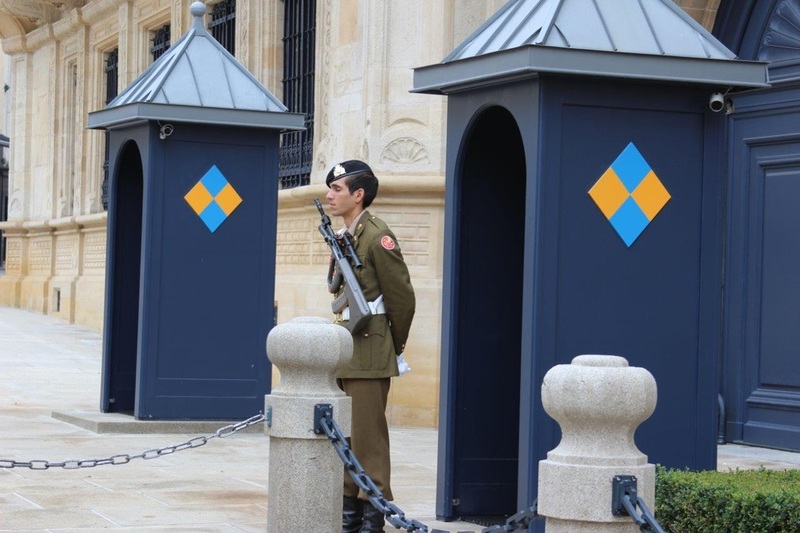 It is guarded by a single soldier, a reflection perhaps that this city is renowned for its safety. It is also a great place for some retail therapy but ladies would do well to forget the heels and wear flat shoes, the cobblestones can be hard to negotiate otherwise. Luxembourg is well known as a world banking centre and home to the European Court of Justice. This part of the city, built across a bridge on another plateau and full of modern glass and concrete edifices, reminded us of Canary Wharf in London. It was interesting to take a look but there is so much more this country has to offer. 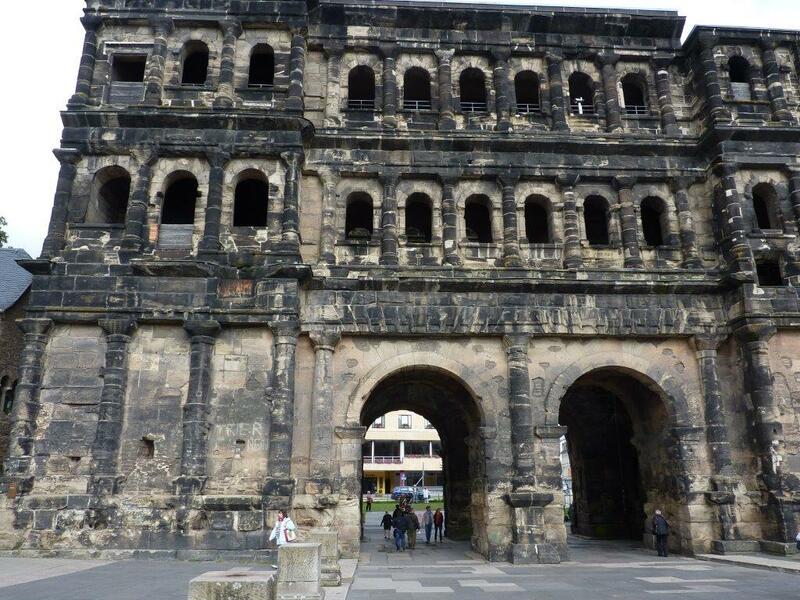 The Moselle river forms a natural 25 mile natural boundary between Luxembourg and Germany and we hopped over to the ancient town of Trier, arguably Germany's oldest city and dating back to the first century BC. 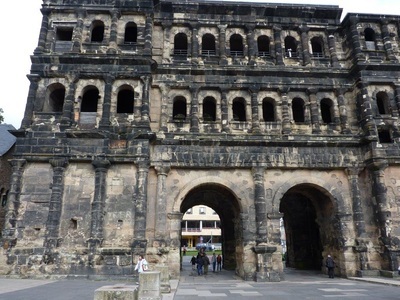 It contains many fascinating buildings from its Roman past, perhaps none more spectacular than the 'Porta Nigra' or black gate, which was built around 200 AD. 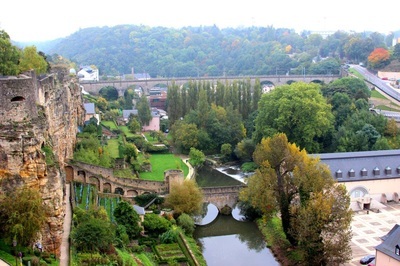 The banks of the Moselle contain many vineyards, the main product of which is Riesling, for which Luxembourg is famous. Some of this wine is turned into a smooth sparkling wine called Cremant, using the 'methode champenoise'. We visited a vineyard, saw the wines being produced and were offered generous samples. The locals are very hospitable. It was a good job we were on a coach trip! Just when you think this little country has run out of surprises, up pops another. On our way back from the vineyards we drove through an area called Little Switzerland. No, it doesn't have any mountains, just some rocky outcrops, woodland and a much photographed waterfall. 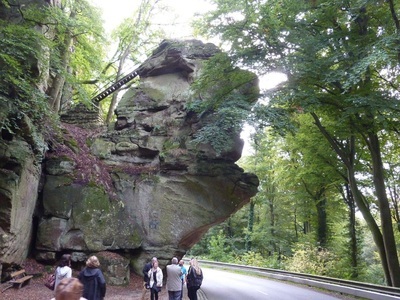 It's a great place to enjoy the fresh air while crunching along the woodland trails, or for the more adventurous, hiking or mountain biking. 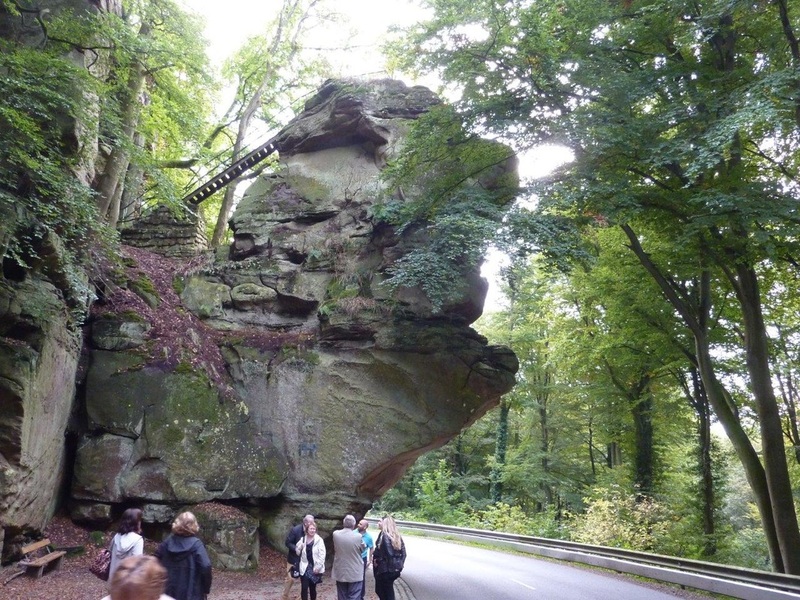 The Perekop rock is almost 130 ft high, overhangs the road and daredevils can take the staircase carved out of a narrow crevice in the rock to its summit. Watch out if you are driving! 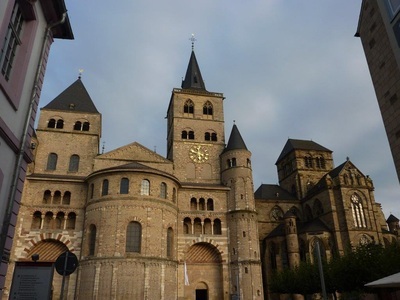 For such a small country, Luxembourg really does pack in a wide variety of attractions and scenery and, despite being bordered by the much larger France, Germany and Belgium, it is proud of its individuality. The country’s motto is, ‘Mir wëlle bleiwe wat mir sin’ (‘We want to remain what we are’). A strong motto for a small land, but then the Grand Duchy is very much its own country.